Icon85 is expression of the Pininfarina DNA, matured in 85 years of history. 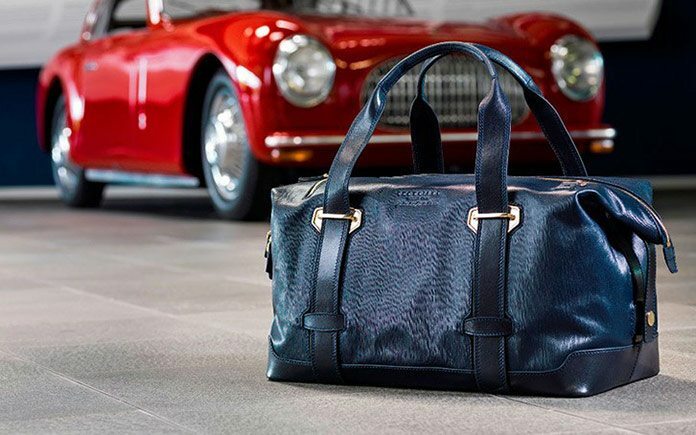 A heritage made of contrasting genes: art and industry, tradition and innovation, elegance and sportiness. Pininfarina is the emblem of the Italian Style, a combination of aesthetic excellence and high performances. Icon 85 was born from the passion for elegance, for craftsmanship, for the care for details. 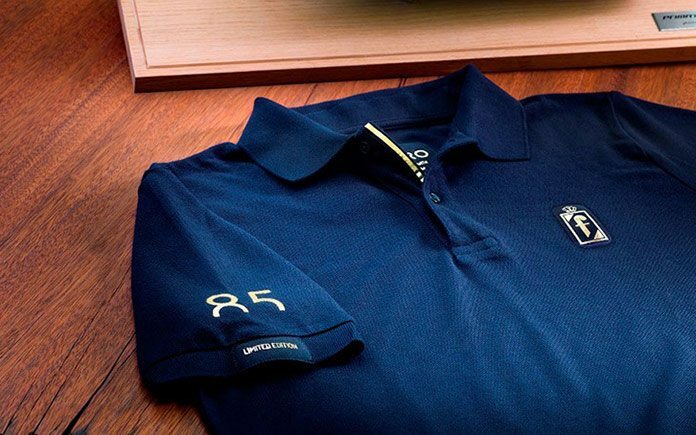 Icon85 was realized thanks to the union with companies champions of the Made in Italy bringing the Italian Style in the world. The Collection is in fact the result of the collaboration between Pininfarina and 6 Italian companies, leaders in their sectors: Barakà, De Rigo, Horo, NAPKIN, The Bridge and Visconti. The union of these excellence generated 6 exclusive products, realized in limited edition of 85 products. A bracelet characterized by dynamic lines, a pair of sunglasses with a sporty character, a precious polo, a revolutionary writing tool, a hand-made travel bag, an elegant and innovative fountain pen. A family of products conceived for those who love the Italian elegance and want to affirm their own style, for those who are searching for the emotion in the products. The pure Elegance and the use of innovative materials are the stylistic code of this fountain pen. 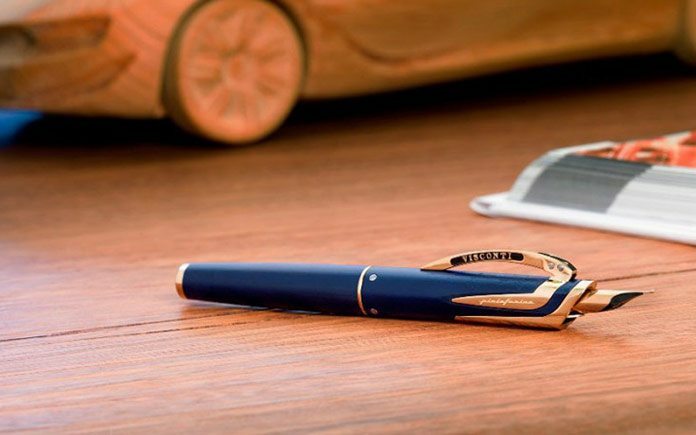 The purity of style enhances the technical innovations invented by Visconti starting from the use of unidirectional graphite employed in this extraordinary writing tool. The blue color of the carbon and the gold plated inserts make the product unique. Imagined for those who believe that beauty is fundamental to write great stories. The Movement is the driving force giving life to the bracelet, characterized by a unique and continuous line that, under the action of the movement, shapes and transforms the surfaces making them sophisticated and complex. 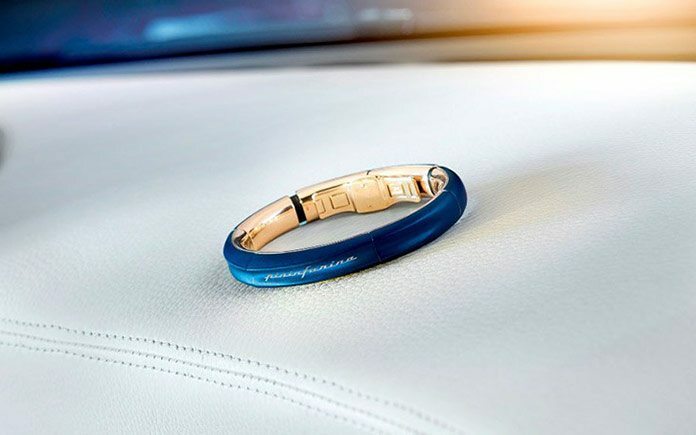 In the bracelet, the Pininfarina soul takes shape in the material skillfully modeled by Barakà master goldsmiths expressing completely its essence. The bracelet is in silver, in the colors gold and matte blue. Born for those who love the state of continuous motion, the jewel allows the wearer to travel with imagination and to think about the future. The Lightness and the Sportiness are the elements that have forged the character of the object. 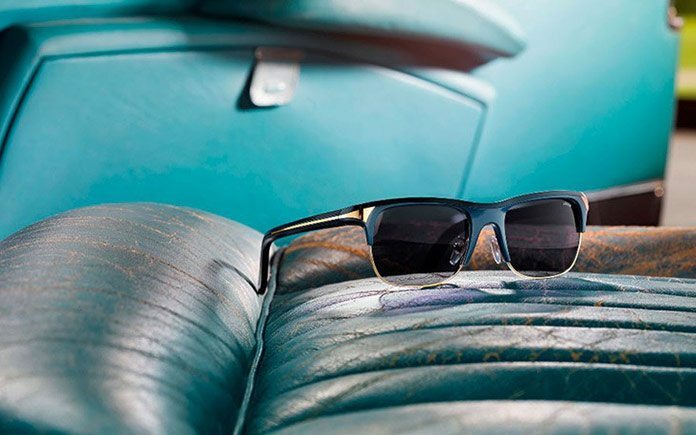 The elegant and pure lines take consistence in innovative materials as aluminum and in the care for details granted by De Rigo, making the sunglasses aesthetically sophisticated and comfortable. Frame in aluminum in blue and gold plated details. Designed for those who love the elegance combined with sportiness, for those who are willing to affirm a strong style with a personal character. The Pininfarina polo was born under the sign of Exclusivity. A 23 karats gold print, realized thanks to an innovative technology patented by Horo, allowing to print gold on fabric, turns the Pininfarina brand into a real jewel applied to the fabric. Imagined for those who are searching a unique and precious piece. The Innovation is the power generating this products. Revolutionary writing tool allowing writing limitless thanks to a metal alloy invented and patented by NAPKIN. Combination of new technologies and pure and elegant design, it is the perfect expression of the Pininfarina DNA. 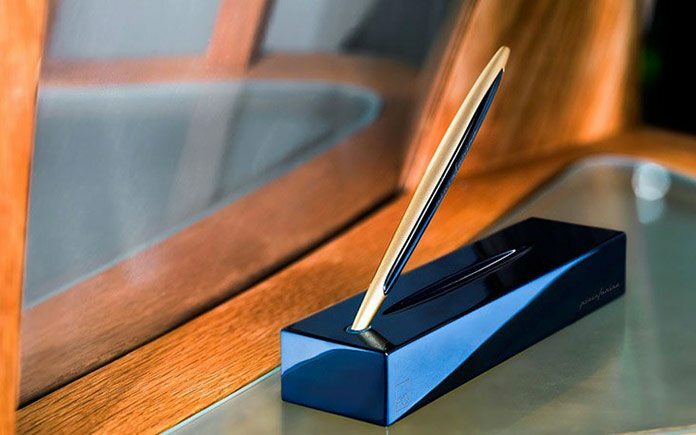 Realized in aluminum in the colors blue and gold that make the pen and the box shining and precious, characterized by a sculptural aspect. Created for those who love the future and are always searching for new worlds. A skillful Craftsmanship combined to innovative details makes the bag unique and suitable for travel and leisure. Result of the The Bridge Tuscan leather manufacturing, it is characterized by a refined design, which is able to unite the search for classic materials like leather and fabric, strong, reliable and resistant, with the beauty of the timeless, dynamic, contemporary design. Conceived for the modern globetrotter suitable for his faraway travels and in the everyday urban movement.